If frequent headache attacks pound your head, you are in for a hell ride. Your concentration, focus, and stability go for a toss. The pain searing through your head bogs you down and makes your life come to a standstill, and this is not something you want. What if something as obvious and natural as breathing can solve your problem permanently? Here are seven different ways that can help you do so. Read on. Breathing is the life force that sustains your body. It is vital to your well-being and affects your physical, emotional, and spiritual health. It has the power to heal and is an ideal solution for headaches. Stay away from shallow breaths and steer towards long, deep breaths. Being conscious and having control over your breath will keep you safe from many ailments. There are many like you who experience frequent attacks of headache. It is a worldwide public health problem that is causing loss of many productive working hours. The right breathing can solve this problem, and there are various mechanisms to do so. 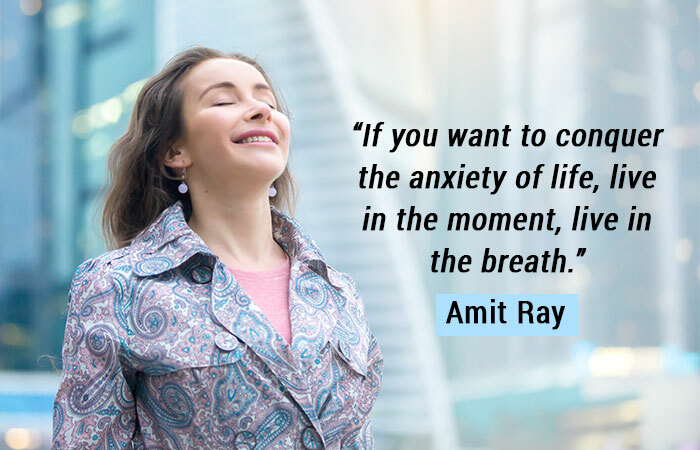 All you have to do is give some thought to good breathing, and it will change your life. Here’s how. When the right amount of oxygen goes into your body, it aids adequate blood flow, calming you down and leading the body mechanism to work its magic on your headache. The only way to achieve this is by breathing from the belly, which relaxes and cures your headache. Here are some breathing patterns that will help you do so. Stay away from short and rapid breaths – they will do you no good. Try taking deep breaths, counting up to 10 while you inhale and another 10 while you exhale to make sure your breaths are longer than usual. 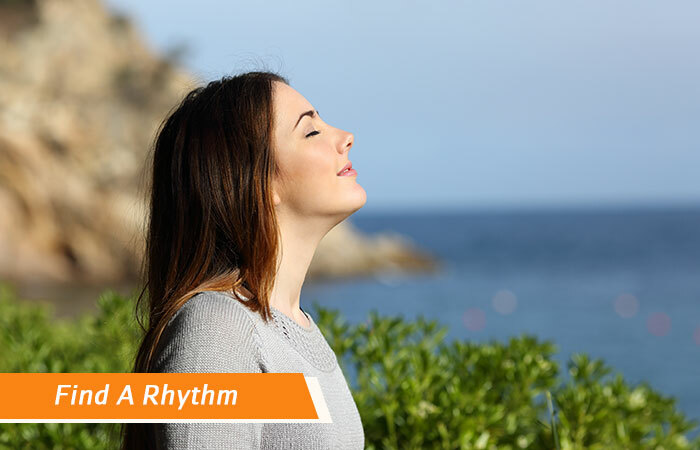 Follow this rhythm and observe how your body responds to this deep and slow breathing. It will relax your nerves and reduce the intensity of the headache. Here comes an amazing breathing exercise for headache. Straighten your back, think of a spot below your navel and breathe. Breathe till you think the air has reached the spot you thought of. This will fill up your abdomen. Then, let the air out like how a balloon deflates – slow and steady. Continue this technique of inhaling and exhaling for a while to make your headache disappear. Sit comfortably and think of the air you are exhaling. Imagine it going down your windpipe, into your lungs and enlarging them. Feel as if you are taking in all the peace and calm you need and imagine tension leaving your body as you exhale. Do this a couple of times to keep headache at bay. 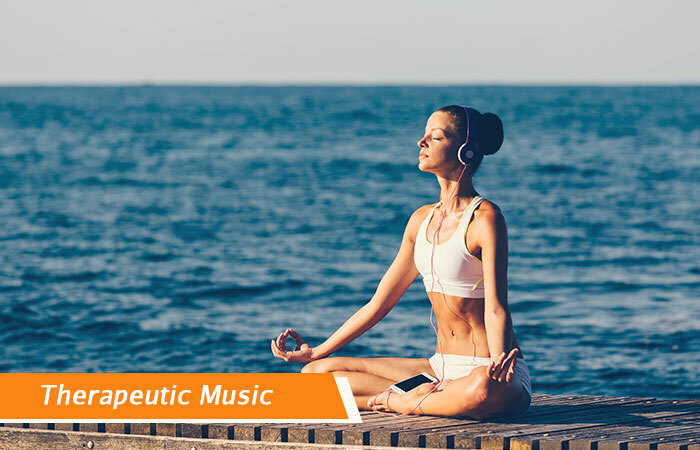 Find a comfortable and positive space and play soothing music while you do deep and focused breathing. Make sure you choose mood uplifting tracks. The music calms you down, refreshes your body, relaxes your muscles, and melts away your headache. Breathing in and out through alternate nostrils is called Nadi Sodhana in Yoga. This famous practice is good for the overall relaxation of your body. Breathe in through your left nostril while you cover the right nostril, and breathe out through your right nostril while you cover the left nostril. Repeat vice versa to treat your headache. To do this three-part process of breathing, sit in the Vajrasana position. First, start with slow and balanced breaths of inhalation and exhalation at an equal pace. Then, the exhalations should be twice the duration of the inhalations. And, finally, the inhalations should be twice the duration of the exhalations. A brief session of the whole process lasts about 45 minutes. This process involves 10 quick breaths followed by one long breath. Sit in the Lotus Pose or Vajrasana and apply force and speed while inhaling and exhaling through your nose. The chest area must go up and down instead of the abdomen. Do 5 inhalations and 5 exhalations, followed by a deep breath. Repeat the process for at least 5 minutes to invigorate your mind and keep headache at bay. The breathing patterns mentioned above hardly take any time and effort to do. All it takes is some discipline to practice them regularly to solve the issue of headaches and migraine. Here are answers to some common queries regarding headache and breathing. A headache occurs when the blood vessels in the brain expand and contract at regular intervals, which results in pain. There could be many causes for headaches. Some of the common ones are insomnia, dehydration, lack of physical activity, bad diet, stress, and tension. Is it advisable to do breathing exercises after a meal? 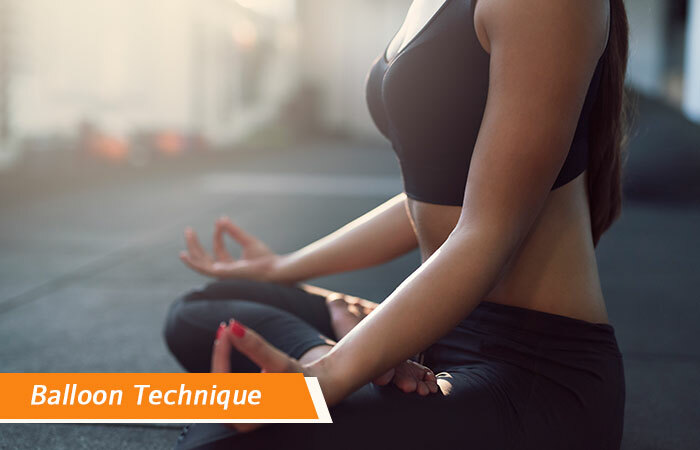 Breathing exercises work best when done on an empty stomach. Give a gap of a few hours (2-4 hours) after you eat to get best results. What substances must be avoided before doing breathing exercises? Alcohol, tobacco, and caffeine need to be avoided before the exercises. Otherwise, they will mar the benefits of good breathing. How does breath control help in curing sinus? Sinus can cause splitting headaches. 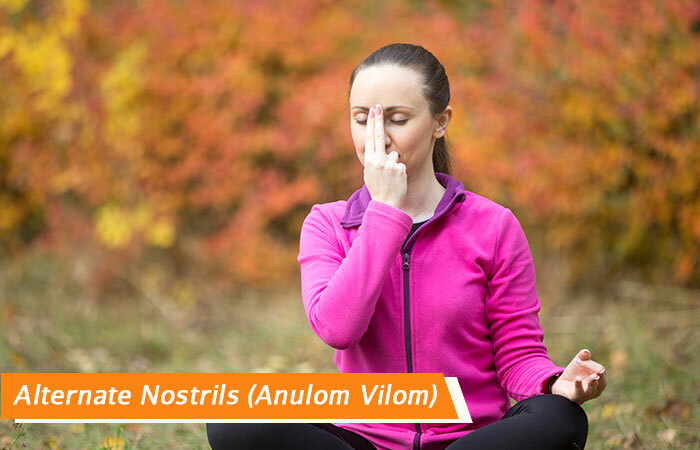 A breathing technique called Anulom Vilom releases the sinus block in the nose, hence curing sinus and headache at one go. How to stabilize oneself to breathe at the onset of a migraine attack? When you feel a migraine attack, do the Hastapadasana Pose immediately. It will increase your blood pressure and calm your mind. Then, start the breathing exercise to stop the attack from taking over. Have you ever considered any of these breathing exercises for headache relief? Breathing right is the solution to all ailments. When you become aware of your breath and control it in a manner that is beneficial, nothing can break you, even the staunchest of headaches. So, pay attention to it and keep rolling. 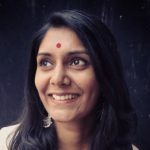 How To Do Kapalbhati Pranayama And What Are Its Benefits?